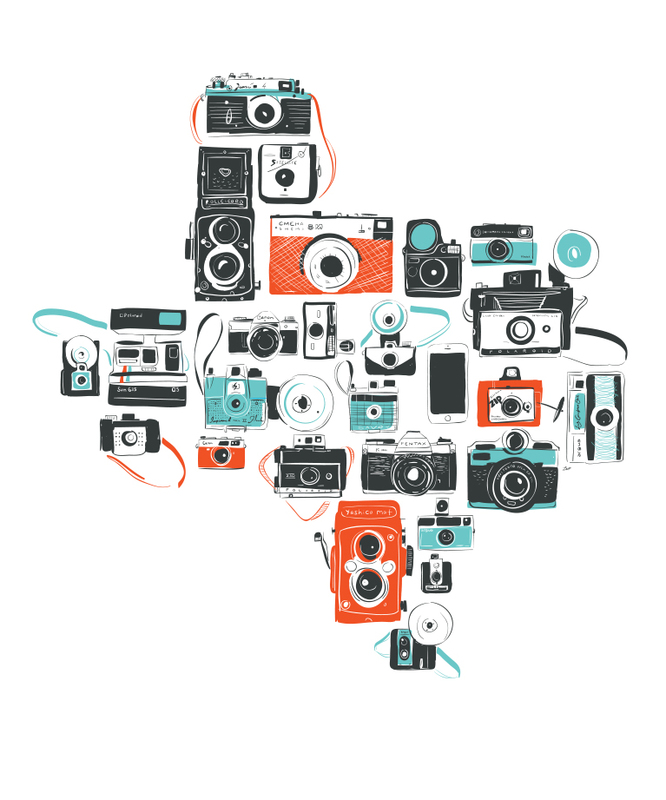 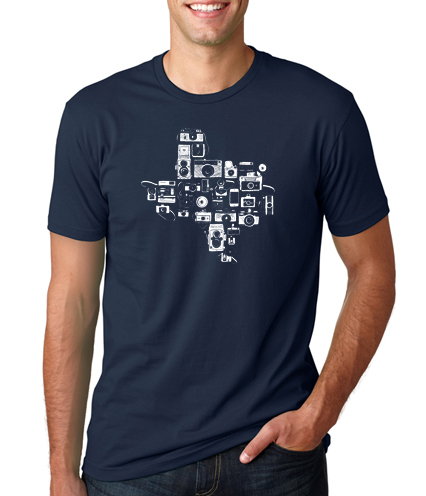 Our newest design celebrates photography in Texas with a custom illustration featuring cameras new and old. 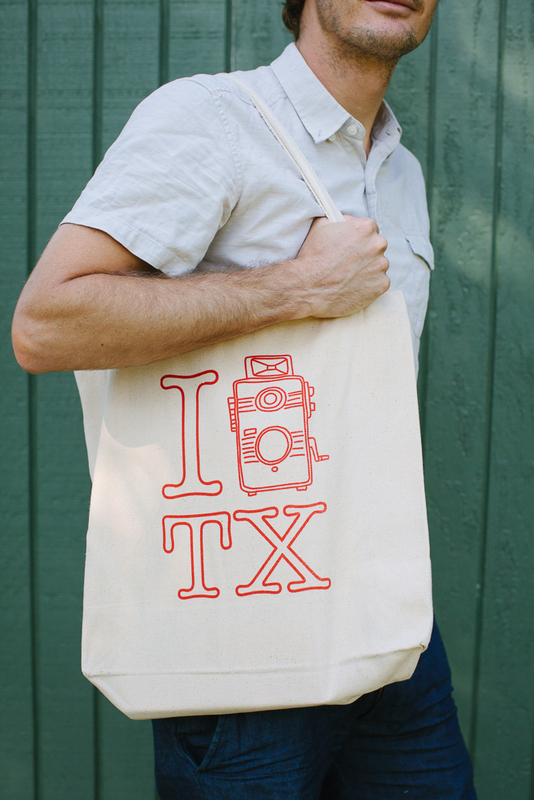 I Love Texas Photo tees are hand screen printed right here in Austin, Texas! 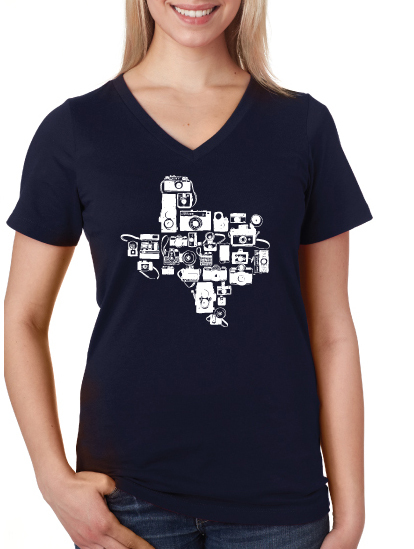 Beautiful white ink on a 100% cotton Bella + Canvas T-Shirt.